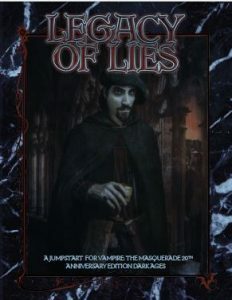 Legacy of Lies is a jumpstart for the Vampire The Masquerade 20th Anniversary Dark Ages Edition corebook. This standalone jumpstart is a taste to whet your vampiric appetite. 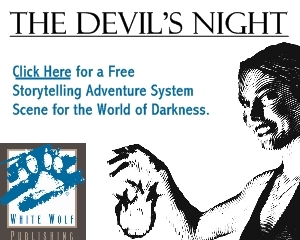 Though the jumpstart does include rules and characters geared for starting level characters, the adventure also has setting-related pieces that tie back to the rich lore Vampire The Masquerade fans have come to expect, while focusing on lush characters. Legacy of Lies was also structured to be run either as a stand-alone game or the introduction to a longer chronicle; at the back of the adventure there are story seeds that allow for further gameplay. FlamesRising.com is pleased to present Audrien DuBois, one of the many Storyteller characters found in Legacy of Lies. Background: Everyone who is anyone has heard of Audrien DuBois, the handsome painter. His works of art deck the halls of mortal kings and grace the meeting spaces of several Cainite Princes. He is a whirlwind with a paintbrush and a delight to watch work. Subsequently, his presence is requested at many a political soiree, both mortal and vampiric. What his mortal “patrons” don’t realize is that Audrien’s breathtaking works of art often contain messages encoded into the beautiful imagery. His secret list of clientele hire him for precisely this reason, as his paintings reveal hidden plots and plans that often come to fruition years later. One such painting was recently commissioned for Cait MacLeann from an anonymous source; a decision the Brujah has come to regret. A favorite in any court, DuBois enjoys the benefits normally afforded to a Toreador artiste, while allying himself with other clan dignitaries when he can. DuBois often finds he is the center of attention, and enjoys the rewards that come from being such an important figure more than he’d ever care to admit. 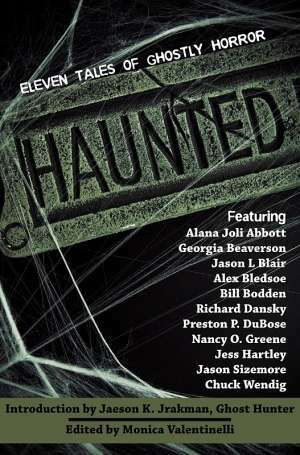 Appearance: DuBois is tall and chiseled with depthless brown eyes, light-brown skin, and tightly curled chestnut hair. He loves flattery and gossip, yet cracks easily under pressure if interrogated. Storytelling Hints: The fastest way to anger DuBois is to pretend his work is nothing short of a masterpiece. However, he is not as thin-skinned as many Cainites believe. The secret he keeps closest to his heart, is the name of his biggest patron: the Order of Bitter Ashes. Unbeknownst to all, DuBois is devoted to the Order’s cause, body, blood, and soul, and there’s no telling what DuBois would do if his relationship with them was fully exposed. Legacy of Lies is now available at DriveThruRPG.com in digital and print. If you’re seeking more material to run V20 Dark Ages, this introductory adventure will fill that need!